On Wednesday, March 18th, Arseniy Yatsenyuk, the Prime Minister of Ukraine — who was selected for that post by Victoria Nuland of the U.S. State Department on 4 February 2014, 18 days before the U.S. coup that installed him into this office — told his cabinet meeting, “Our goal is to regain control of Donetsk and Lugansk.” Those are the two districts comprising Donbass, the self-proclaimed independent region of Ukraine, which now calls itself “The People’s Republic“ and sometimes “Novorossiya,” and which rejects the coup and its coup-imposed Government. 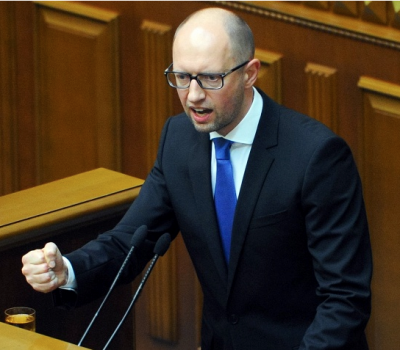 Yatsenyuk announced there: “Adequate financial resources are available,” to retake Donbass. Those “resources” came largely from the IMF, and from the United States, all with loans to the bankrupt Ukrainian Government. So that the investors will be paid the principal plus the extremely high interest on these junk-loans that are backed by their governments, Western taxpayers will ultimately be, basically, donating to Franklin Templeton, and to George Soros, and to the other financiers who are buying the Ukrainian Government bonds that purchase those weapons and military trainers to conquer the residents of Donbass. The Ukrainian Government officially calls these residents ‘Terrorists,’ and the military operation to conquer them they call the ‘Anti Terrorist Operation’ or “ATO” for short. They call their troops who are doing the killing there, “punishers,” which the residents of northwestern Ukraine take to mean punishers of terrorists. The residents in northwestern Ukraine see only television that is broadcast on stations that are owned by Ukrainian, European, and American, oligarchs. For example, one of these stations is Hromadske TV, which was founded with money from the Dutch Government, the U.S. Government, and George Soros’s International Renaissance Foundation. It has, on occasion, presented ‘experts’ who call for exterminating at least 1.5 million of the residents in Donbass. So, this is how the support of the residents in Ukraine’s northwest for the “ATO” is being maintained. The residents in Donbass have also been called “subhumans” by Yatsenyuk himself. At this cabinet meeting, Yatsenyuk additionally announced that resumption of the war would be rushed: “We need to move the funding for the purchase of new equipment and weapons from the third and fourth quarter to the first and second quarter,” he told his cabinet. Yatsenyuk told his cabinet that, “We will fight using all methods and techniques for the resumption of peace and regaining control of Donetsk and Luhansk region.” By ‘resumption of peace,’ he meant resumption of control over Donbass. “Peace” is the term he uses to mean control. In other words: until the Yatsenyuk Government wins, there will continue to be war in Donbass, “using all methods and techniques” to achieve his (that is, America’s) victory in subduing the residents there. This subduing means exterminating some, and driving the others out; so that, in either case, they won’t become voters in future Ukrainian elections. 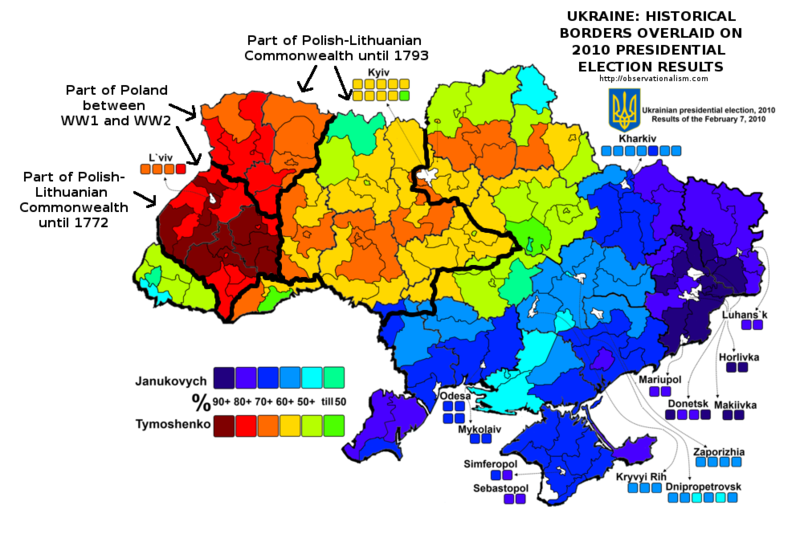 The last time that these people voted in a Ukrainian election was 2010, when they voted 90% for Viktor Yanukovych, the man whom Obama overthrew. Without that 90% vote, Yanukovych wouldn’t have been elected. Obama consequently doesn’t want them voting in any future Ukrainian election. That’s the reason why they’re being bombed — to get rid of them. On March 17th, Ukraine’s parliament, the Rada, voted to declare Donbass to be “temporarily occupied territory,” until the residents there are conquered. The day before that, the figurehead President of Ukraine had presented to the Rada a draft resolution proposing to solve the problem of the resistant Donbass with a resolution he published on his website on March 14th saying that the region has “special status,” and temporary self-government, but this proposal wasn’t the one the Rada passed. The President nonetheless declared that his terminology was somehow law from the moment it had been published on his website. U.S. President Obama wants the war resumed as quickly as possible, but Angela Merkel and other European leaders have urged that it not be resumed at all. Consequently, there is a split in the Western alliance about this matter. Apparently, Prime Minister Yatsenyuk has determined that he now has enough weapons and loans to be able to resume the war very soon, until final victory. Many European leaders don’t want to be involved in a war against Russia. However, on March 12th, Yatsenyuk said “Ukraine is in a state of war with … the Russian Federation.” That is the service he is providing to Barack Obama, and to the 98%+ of the members of the U.S. Congress who likewise want this war: Ukraine has become the proxy state for America’s war against Russia.